James M. Glaser, professor of political science, was appointed dean of the School of Arts and Sciences in February 2015. 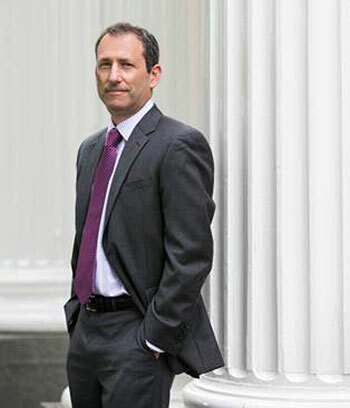 Dean Glaser has spent his entire academic career at Tufts, first joining the Department of Political Science as an assistant professor in 1991. He served as dean of academic affairs for Arts and Sciences (2010–2014), having previously held the position of dean of undergraduate education for Arts, Sciences, and Engineering (2003-2010). He was also chair of the political science department for four years (1999-2003). As dean, he aims to work with faculty colleagues and Arts and Sciences staff to improve faculty governance; to update and refresh the curriculum; to support the new facilities being designed and built; to fulfill the school's commitment to the diversification of the faculty, staff, and student body; and to enhance the research profile of the school through new faculty hires and support of the outstanding scholars and researchers already on staff. Professor Glaser also co-chaired the strategic planning process for the school with Professor Vickie Sullivan and will guide the implementation of the recently published strategic plan. Dean Glaser received his B.A. from Stanford University and his Ph.D. from the University of California, Berkeley. He is the co-author (with Timothy J. Ryan) of Changing Minds, if Not Hearts: Political Remedies to Racial Issues (2013, University of Pennsylvania Press). His previous books, The Hand of the Past in Contemporary Southern Politics (2005, Yale University Press) and Race, Campaign Politics, and the Realignment in the South (1996, Yale University Press), each received the Southern Political Science Association's V.O. Key Prize awarded to the year's best book on southern politics.